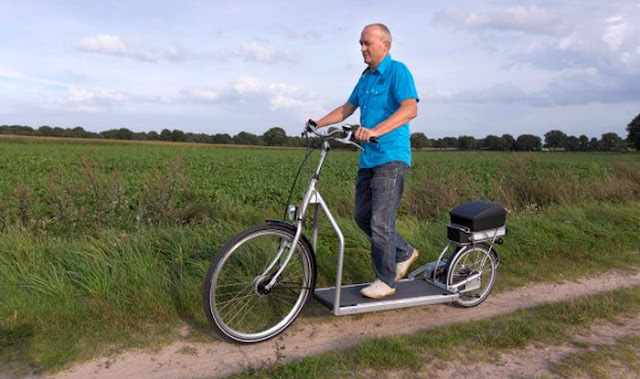 Think about walking while cycling…seems strange but true for Lopifit founder Bruin Bergmeester who has invented an electric walking bike that combines scooter, e-bike, and a treadmill. Who could have imagined that a treadmill on wheels would one day become a thing? 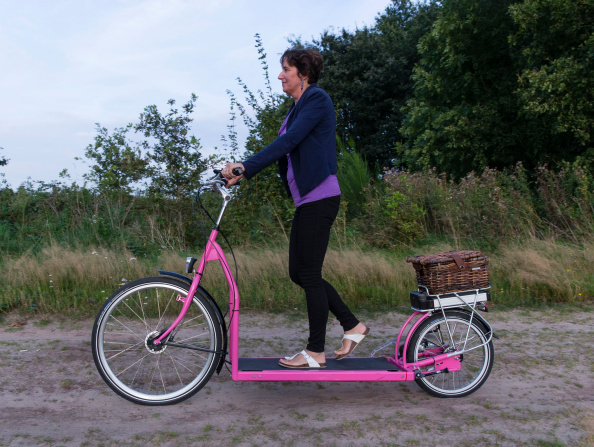 The bike is a super multi-tasking and time saving, enables you to exercise while on the walk-cycle to your destination. 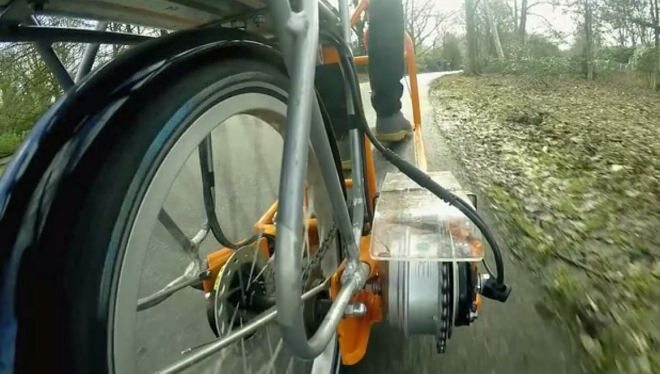 He created a functional design of ‘Lopifit’ (pronounced low-pie-fit) using an electric engine that works when you walk on the treadmill and uses the motor to turn a drive chain at the rear of the treadmill. 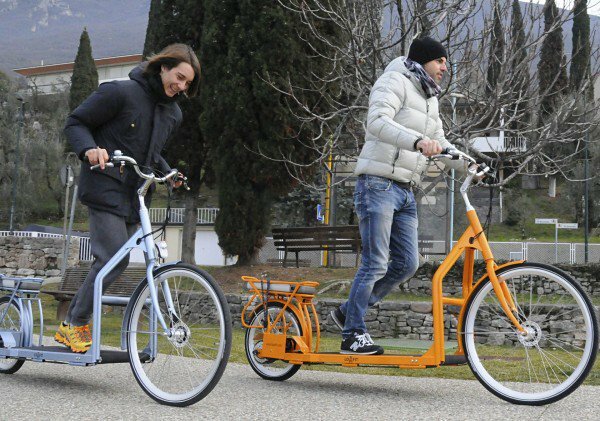 The Lopifit is an unusual means of transportation that allows you to power an electric bicycle by walking on a treadmill. It was first hit the street in 2014 and became an instant hit. To operate Lopifit, simply turn on the battery and slide the treadmill to backward and activate the motor. 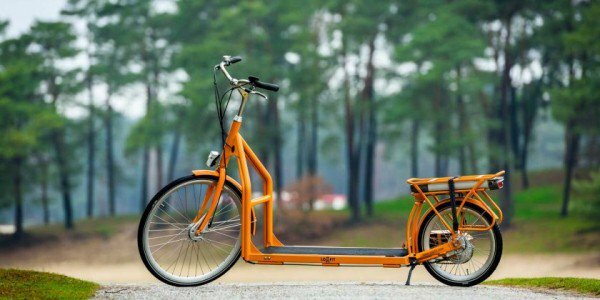 It can reach a top speed of 17 miles per hour just by walking on the treadmill and if you want to spot the bike, use two hand breaks. The Lopifit has a unique advantage of helping you “walk” really fast without breaking a sweat, or walking at cycling speed if you will. 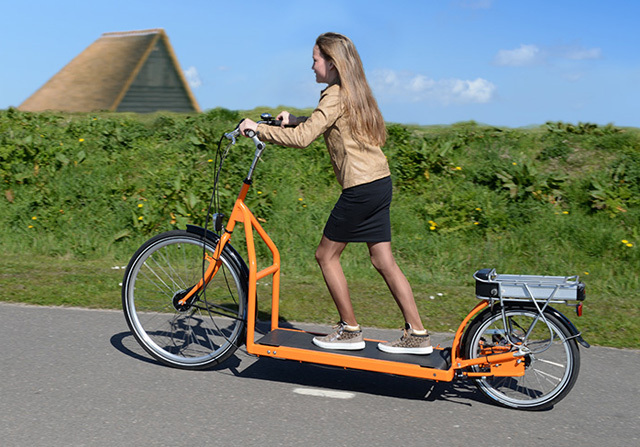 It’s powered by a 350W Samsung lithium-Ion battery that can go 40 to 60 miles on a single charge, but is still classified as a bicycle and provides you a viable form of local commute transportation. 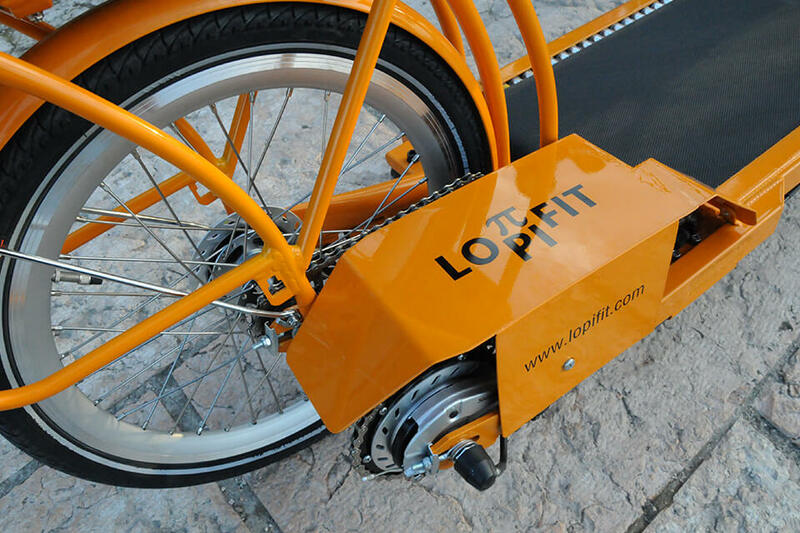 Lopifit is available in six different colors - Black, Royal Blue, Orange, Fire Engine Red, Silver, and White. 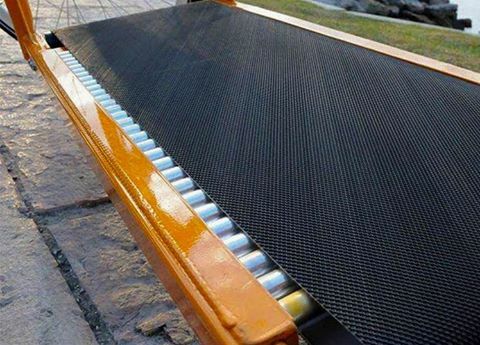 It uses robust power coated steel frame made from sustainable material.